Fevzi Turkalp, the Gadget Detective, joins Howard Hughes on BBC Radio Berkshire to bring the latest tech news. This week; Apple are rumoured to be set to release the Siri Speaker, their alternative to Amazon's Echo and Google's Home, plus rumours of a new 10.5" iPad Pro. Also this week, another data breach has been announced, this time involving a password manager. How secure are these services, and how can you improve your security? 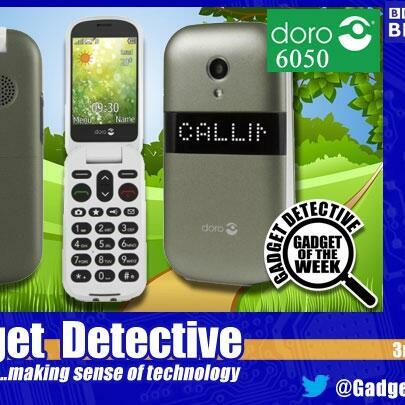 The Gadget of the Week is the Doro 6050 smartphone. Designed for seniors, this flip phone offers all the features you'd expect, including an Emergency Assist button, all in an attractive design. For more information and why it scored a respectable 4 out of 5, listen in!